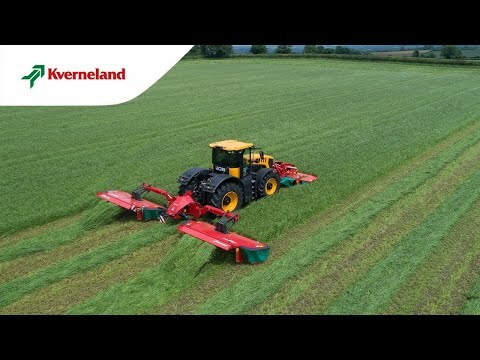 The all-new Kverneland 53100 MT Vario delivers an outstanding performance with its´ completely new suspension concept, 10.20m working width and hydraulic adjustment of working width and overlap. 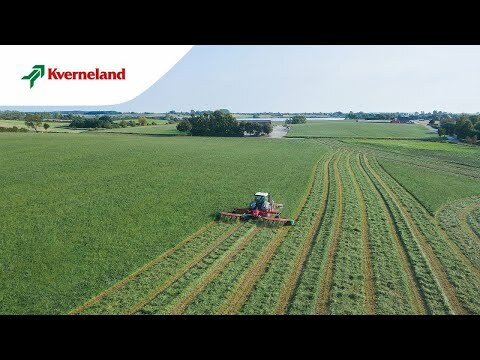 Kverneland 53100 MT Vario is fitted with the new Kverneland suspension concept called QuattroLink. The mowing unit is pulled by four suspension arms fitted onto a fixed carrying arm that allows the mowing unit to float independently over the field, adjusting highly accurately and instantly to any changes in ground contours. With the integrated parking device, storage of the Kverneland 53100 MT Vario is made easy and convenient, requiring a minimum of space during winter storage. The mower is firmly parked on strong and stable parking foot.